I'm not sure if there is an actual offical term. If there is, leave in the comment below and I'll update this list. Absolutely, for this example, you can use a ternary operator instead. But keep in mind, you can't always use a ternary. When you're doing more logic or if you're dealing with a larger block of code, the ternary operator won't be ideal. I'm going to throw a curve ball and introduce the guard pattern. 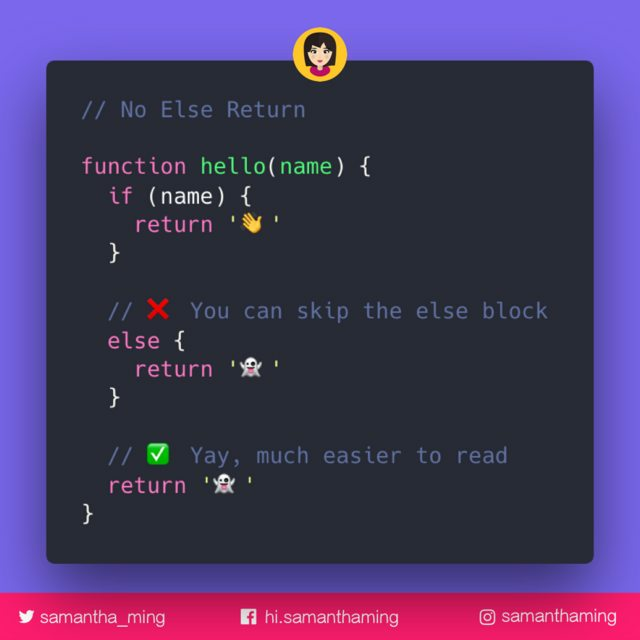 The guard clause is a block of code that is at the begining of the function that returns early, and stop all execution(s), if the statment is met. Let me refactor the above example and hopefully it will make more sense. Rainer: If the given parameters are no numbers the function exits with an error before executing any other code. Some functions may also return false instead of throwing an error.